Vivianite encourages one who may be overly self-conscious to feel more comfortable in his/her own skin. It can help you navigate difficult and seemingly impossible problems and deal with them in a more realistic way, thus enabling you to reach your goals. It helps you to live in the moment. Vivianite increases intuition and is a good crystal to have near you for dream work or distance healing. 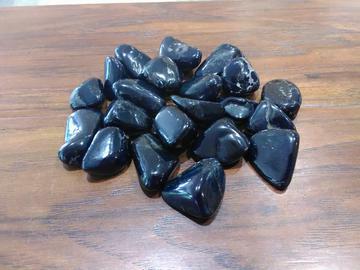 Vivianite eases problems of the eyes such as cataracts, conjunctivitis or degeneration of the iris; it helps the body to assimilate iron; strengthens bones; eases senility, and helps mobility. Size Range: 3/4" - 1 1/4"